Derrell Sims both Saturday and Sunday in the Exhibitors Hall! PLEASE BRING UNWANTED UFO, ALIEN, SPIRITUAL, ETC. ITEMS FOR THE "FLEA MARKET" TABLE! We have 15 TICKETS left to a SPECIAL EVENING you DON'T WANT TO MISS -- and it's ONLY $21. VISIT MUFONMarinSonoma.com To Purchase YOUR Ticket Today!! Flea Market Table ~ 2 Raffles Per Day in the Exhibitors Hall ~ Impant Scanning, Ultra Violet Wanding, Infared Scanning and Much More! 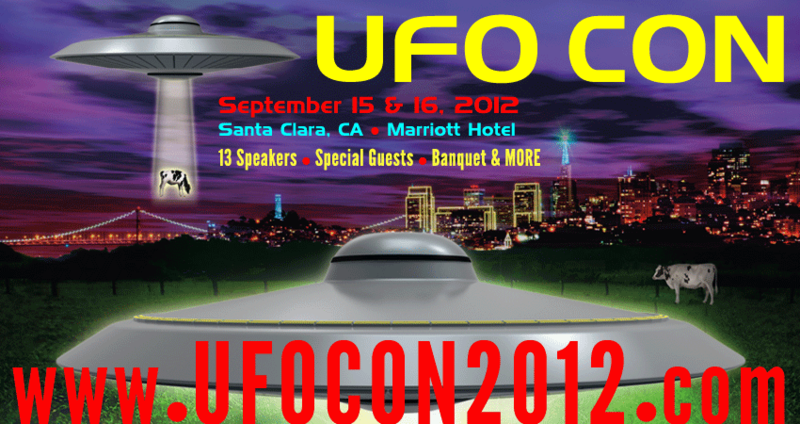 ANNOUNCING UFO CON's TWO VERY SPECIAL GUESTS! John has lent his voice to Oliver Stone’s JFK and Talk Radio films and appeared in several other movies. He has also recently voiced promos for Discovery Channel's Deadliest Catch and Gold Rush. After frequently serving as a guest host on Coast to Coast AM, Wells became the Saturday evening host of the most-listened-to overnight radio program in North America, Coast to Coast AM, in January 2012. Each week, Wells captivates listeners with discussions on news and current events, conspiracy theories and all things curious and unexplained. Actor, musician, writer, composer, martial artist, aviator and broadcaster, Wells finds the ancient sage advice of "concentrating on just one thing" to be true. His one thing: the Arts. Visit his website: JBWells.com to listen to samples of his AWESOME Voice Over work. Sean David Morton will serve as UFO CON's Saturday Night Banquet Host and "Roaster" extraordinare as well as our Sunday Speakers Panel Moderator. In addition to his ongoing research into all things “fringe,” Sean-David Morton continues to hone his skills in comedy and humor. He will delight and amaze at this year’s Meet-Your-Speaker Banquet – we know you will not want to miss the entertaining side of this accomplished researcher. Sunday evening, he will be our moderator for the Speaker Q & A Panel. You can listen to Sean 4 nigths a week (M, T, Th, F) on American Freedom Radio from 7-9pm PACIFC AND Revolution Radio from 9-10pm PACIFIC. but they will be available all weekend for autographs, interviews, networking and conversation. "The Father of Remote Viewing"
Russell Targ is a physicist and author, a pioneer in the development of the laser and laser applications, and a cofounder of the Stanford Research Institute (SRI) investigation of psychic abilities in the 1970s and 1980s. SRI is a research and development think tank in Menlo Park, California. Called remote viewing, his work in the psychic area has been published in Nature, The Proceedings of the Institute of Electronic and Electrical Engineers (IEEE), and the Proceedings of the American Association the Advancement of Science (AAAS). He is author or co-author of nine books dealing with the scientific investigation of psychic abilities and Buddhist approaches to the transformation of consciousness. As a senior staff scientist at Lockheed Missiles and Space Company, Targ developed airborne laser systems for the detection of windshear and air turbulence. Having retired in 1997, he now writes books on psychic research and teaches remote viewing worldwide. Visit ESPResearch.com to check out his extensive collection of books. Military service, extraterrestrials, UFO’s, abductions, special secret projects –– Bernard “Bernie” Mendez has had a most unusual yet fascinating life. Born in Staten island, New York. At the age of 2 1/2, family members observed Bernie’s seeming ability to see objects in the invisible spectrum. In later years during a medical examination, it was discovered he possessed an unusually high number of rods and cones in his eyes than the average person allowing him to see in the dark. Throughout his youth, Bernie had numerous direct encounters with several ET races, most of which were of the Grey alien variety which continued into his teenage years.In late 2011, Bernie heard an interview on the Coast to Coast AM radio show with Andrew D. Basiago,who spoke with host George Noory about participating in a secret government time travel program called Project Pegasus during the 1970’s and 80’s. After the radio show aired, Bernie made contact with Basiago and found they had many similar recollections of their experiences woking in Project Pegasus. Freeman, host of Freeman TV, has been witness to phenomenon that some men only dream of. His natural curiosity necessitated voracious studies of high weirdness which have led him to discover the hidden code behind corporate logos, the secret of ancient astronauts, while finding time to investigate HAARP and chemtrails. Conspirologists take note: Freeman starts where Alex Jones leaves off. In the spirit of David Icke and James Redfield, Freeman illustrates a world that is both cosmic and miraculous. He presents hope displayed in the creative spirit of humanity. Freeman is an internationally-known award-winning TV producer, film maker, radio talk show host and lecturer. Freeman is considered an expert in the fields of the occult, trauma-based mind control, government conspiracy, and ancient civilizations. Freeman has lectured extensively on the secret signs and symbolism of Freemasonry, the ancient astronaut hypothesis, trauma-based mind control, social engineering, government conspiracy, human cloning, technologies of the future and synchronicity. Freeman publicly announced his fears that a false flag event would occur on 9/11, that "W" would be forced into office, the economy would collapse on 10/13 and that the next President of America would have his natural born status questioned. More information about Freeman can be found at: The Freeman Perspective. 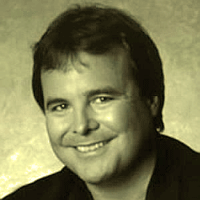 Rob is an American ufologist and a radio and TV talk show host. He was born in Philadelphia, Pennsylvania and became a key figure in the East Coast alternative music scene. After more than 10 years as an independent researcher and research analyst into many areas of paranormal and unexplained phenomenon, Rob earned a legal degree and moved to Sedona, Arizona in the late 1990s to begin working for the civil activist organization, Citizens Against UFO Secrecy ("C.A.U.S") which was featured on Art Bell and countless other radio and TV programs in the United States and internationally for the organization’s use of the legal system to end what it sees as the government’s secrecy and cover up of extraterrestrial phenomena. Rob became the worlds first “Para-normal Paralegal" collecting affidavits, eye-witness testimony and photographic evidence for Freedom of Information Act (FOIA) requests for various lawsuits brought against the Department of Defense and the Federal Government. Rob is an award-winning media personality and accomplished TV and radio producer. He hosts a top-rated talk show on 104.4 FM London, and is founder of A.I.R., The Association of Independent Researchers and has been featured in UFO Magazine UK, FATE Magazine, Japan's NIPPON TV, China's CCTV, and recently on the 2-hour History Channel program "Decoding The Past." His website is: www.robsimone.com. Anthony is the creator of "The Free World Alliance." He is dedicated and determined to alter the course of "Planet Earth" by destroying the Illuminati's capacity to carry out their crimes "under the cover" of darkness. These Vamparian Bloodsuckers cannot exist in the Light of Day. "As a Talk Show Host", Investigative Journalist and War Correspondent, Anthony J. Hilder, has done approximately 17,000 interviews over the past 30 years, working 24/7 to bring his dream of a Free World into being. Always controversial, always original, always in the fight for freedom he continues this life-long goal. Hilder is the Author of THE FREE WORLD MANIFESTO. Anthony's ever-present goal is to insight a Revelation to avoid a Revolution and form an Alliance of Independent Tribal, Linguistic, Religious, Political, Ethnic and Racial Nation States in opposition to the United Nations. Hilder is fully cognizant that the world must have an option to the U.N. and the chaos & killing that is being deliberately directed by this Brotherhood of Death to bring about our control. Hilder is the Producer of 21 Video Documentaries and is now working on two Feature Films concerning the Illuminati's Evilarchy. 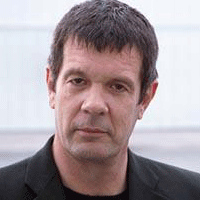 Earlier in his career Anthony did a number of Television Shows and Films. You could say that Hilder is living on the cutting edge. His life is dedicated to freeing the World's people from the nightmare that has been brought about through Big Brotherment & the Banksters in their efforts to bring about a New World Order. Hilder is a Libertarian - Free Rightist believing in the "free right" of choice. He believes that all Governments must be dominated by the people who run them - wherever they may be. Charles currently is a senior fellow at the Institute for Global Futures, a consulting group which provides strategic research, analysis, technical due diligence, and related technology centric development services to Fortune 500 companies and institutions worldwide. Charles has 30+ years experience in the fields of electronics, materials science, computing and artificial intelligence, including eight years at Lawrence Berkeley Laboratory at the University of California, Berkeley, and Los Alamos National Laboratory. Charles has authored numerous technical papers and published articles, lectures frequently around the country and abroad, and has contributed content featured in a number of books, including CyberLife, Secrets, the SIRS Applied Sciences journal, and is involved in various other authoring projects. He has been a featured guest and speaker in a diverse variety of nationally broadcast television and radio programs in venues ranging from PBS Television to the nationally syndicated Coast to Coast AM and America at Night radio programs. As he often says in his lectures and presentations, “if there was ever a time to synchronize our capacity for spiritual evolution with an accelerating realm of complexity and advanced technologies never before encountered in the human history of which we are currently aware, this would be that time."